"Crazy Little Thing Called Love" is a hit teenage romance-comedy Thai movie which is set to air on Philippine TV via the Kapamilya network. 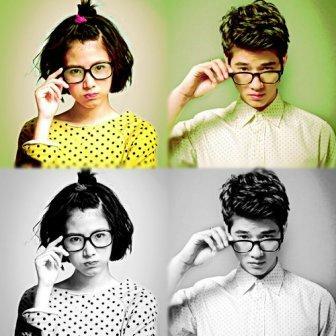 It stars the cute young Thai heartthrob actor Mario Maurer. ABS-CBN dubbed the said film in Tagalog. And last night after "Green Rose", they showed a Tagalog-dubbed trailer of it! What can you say about this movie? Do you now love it?! Even in this Thai version, it is really cool and crazy! Watching this trailer, it drives stress and boredom away! What more watching the whole movie! "Crazy Little Thing Called Love" will be aired this coming June in the Kapamilya network. We're unsure if this will be on the "Kapamilya Blockbuster" or in their "Sunday's Best". But for sure, all is really waiting it! this thai movie is my favorite!!! over nakakakilig.. may limang beses na akong nakapanuod nito.. pero hindi ko palalampasin ang filipino dub version!! yahoo!! Go Nam and P'Shone!!.. :)really love it..
You should not imitate any other foreign movies.. Why don't you make your own version? Ganyan naman ang mga Pilipino eh, walang alam kung hindi manggaya.. kaya hindi umuunlad ang Pilipinas..
super love ko sina Nam at P'Shone..